The survey asked respondents how they had found business to be in the previous 2 years (2010 and 2011) and how they rated their expectations for 2012. This first, 2011, survey was unique in asking businesses to look back over two years but it does mean that we have a picture of industry business confidence going back to 2010. 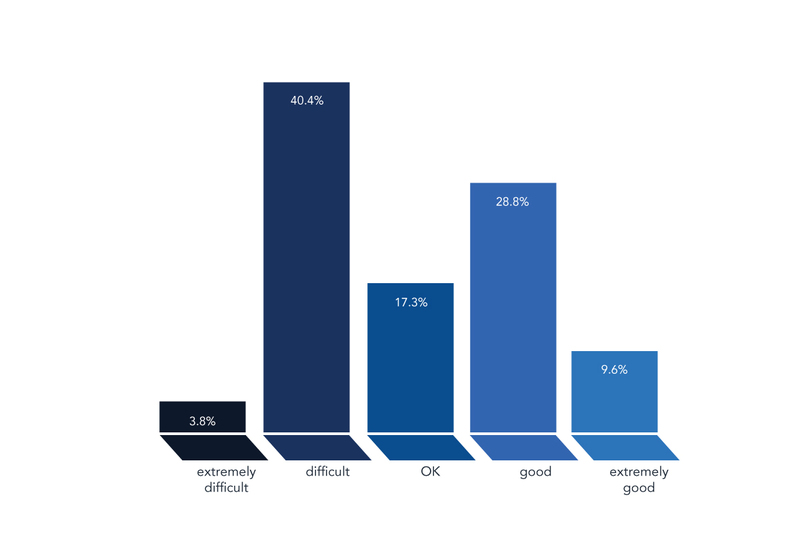 Respondents were asked to rate each year on a scale of 1 to 5 with 1 being ‘Extremely Difficult’ and 5 being ‘Extremely Good’. Over the course of the 3 years, the average rating dropped from 3.11 to 3.00 showing that business experiences and business expectations have diminished. However, that average drop is not a large one and far from what you might expect to see when set against the media view of these three years. We ask businesses to look back into their recent history but also, and perhaps more importantly, we ask them to look forward into the near future. There was one particular aspect of these figures that did indicate a marked difference between what had happened (2010 and 2011) and what was expected to happen in 2012. More than a third of the respondents described the previous two years as ‘OK’ but when asked about 2012, that figure dropped to just 17%. 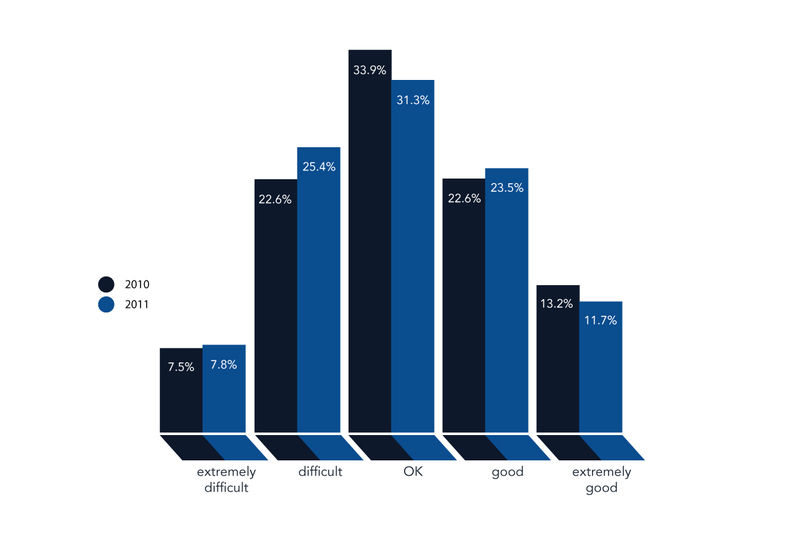 Looking at business expectations for 2012 seems to polarize opinion with most respondents deserting the middle ground and 44% seeing a difficult or extremely difficult year ahead but over 38% seeing 2012 as looking good or extremely good. Perhaps we always see the future as being bright or dark, or perhaps as many people see opportunities in the year ahead as those that see problems and challenges? The above table looks at business expectations by size of business and shows that the polarization of those views is almost entirely driven by the 5 – 10 employee business sector. This behavior is probably not unique to the wet leisure industry but a function of businesses that are still ‘small’ but do have significant fixed cost overheads and the responsibility of providing employment for a sizeable number of people.